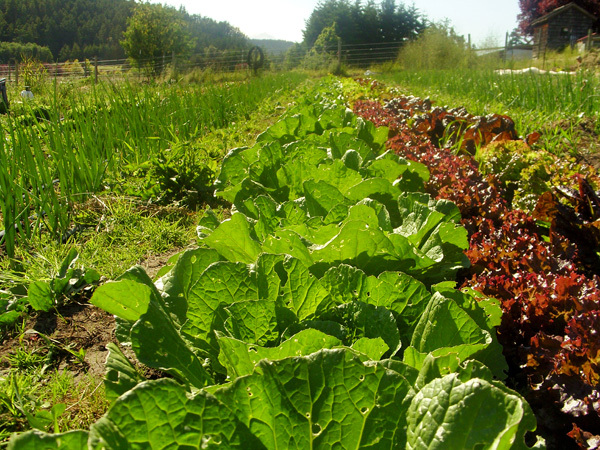 Good Earth is centered on the holistic well-being of people and planet. We try not to separate the physical, mental and spiritual. Everything is connected to everything else. Our project reaches out as an educational resource for folk who are hungry to learn how to provide healthy food and lifestyles for themselves and others. We believe that nature has created the perfect design, so we are experimenting with, teaching and employing natural farming techniques, like those promoted by Masanobu Fukuoka, as well as the philosophy of Michio Kushi who taught that health could lead to peace. Everything is done by hand as we transition to no-tillage. We have recently completed a two year Western SARE funded research and education project on organic no-till methods when direct seeding vegetables. 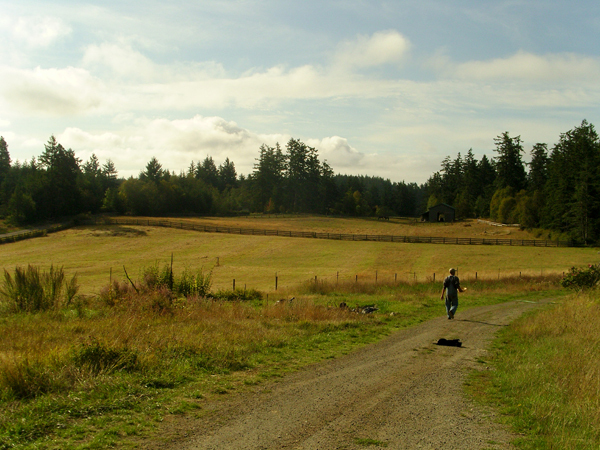 We grow produce, herbs and flowers on a leased acre of land at Talking Horse Farm, a beautiful 160 acre working farm on San Juan Island, owned by the Ingram family. Produce is sold locally and although the emphasis is not on commercial growing we obviously need to distribute our foods and to recognize the reality of sustaining the project financially. We are a recently married couple who met each other at Navdanya in the hills of northern India 2009, fell in love and were inspired to create Good Earth. We are motivated as educators, believing the nurturing of self-awareness to be even more valuable than all those practical skills. Gary Miller has been growing produce organically since he was in his early 20s and has a great deal of knowledge and experience. He has a natural gift for teaching. Gary studied with Mishio Kuchi and has a fantastic understanding and passion for natural, healing foods and cooking as well as body work. He is also a highly skilled sustainable building constructor, has practiced yoga for 40 years and writes beautiful poems. Amy Plant has a long background as a community-based artist/activist, playfully bringing people together on common goals, creating space for sharing many voices, ideas and skills. She is inspired by Ghandian ideals, alternative education and the philosophy of deep ecology. She loves to work with people and co-operatives and is working towards bridging her art practice with natural farming. Our educational outputs are an internship program and workshops. 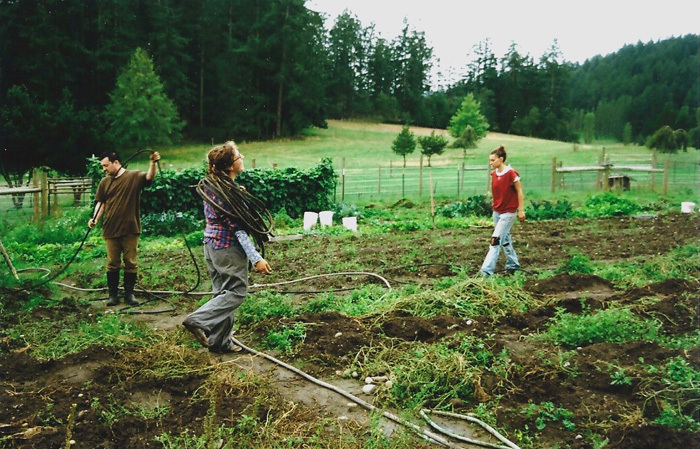 Interns learn all aspects of running a small, natural farm informally, in the field as well as pursuing a related personal study of their choice. 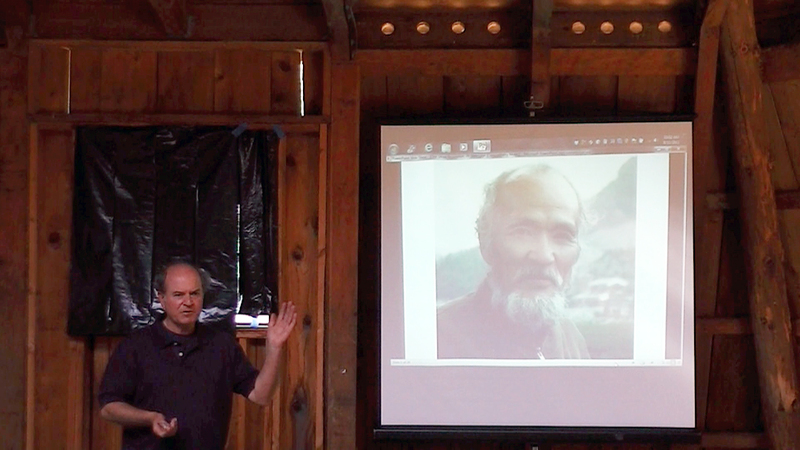 In August 2012 we organized a weekend workshop with Larry Korn, editor of One Straw Revolution and other speakers. This was followed in March 2014 with another workshop focused on our SARE funded experiment. We have also given talks at the Tilth Producers of Washington Conference (2015) and the San Juan Island Ag Summit (2016). We have begun posting some tips, discoveries and educational materials relating to our organic no-till experiments on the learn page of this website.